Last week, I talked about where to find work from home medical insurance jobs. This week, I wanted to jump in and talk about remote jobs in the home, auto, and life insurance industries. Just like the medical field, there are lots of telecommuting opportunities available for Customer Service Reps, Claims Specialists, Appeals Coordinators, Claims Adjustment Reps, Auditors, Underwriters, Sales Reps, and lots more! Read on to see what's available for telecommuters in the home, auto, and life insurance industries. Protecting the assets of drivers and homeowners is another key focus of the insurance industry. Many states require owners to insure their property to protect from liability, damage, accidents, theft, or fire. 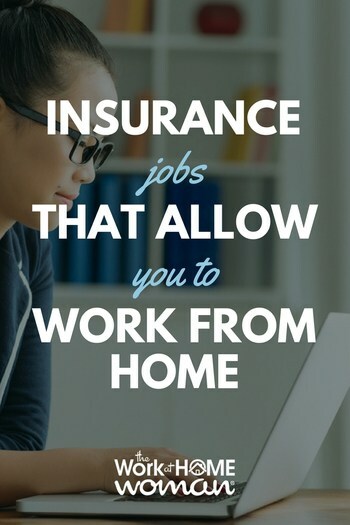 There are many work-at-home opportunities in the home and auto insurance industries (many with excellent benefits and perks). Farmers Insurance Group began their business by insuring farmers, but they’ve grown to serve more than 10 million households nationwide. Use the search terms “remote,” “telecommute” and “work from home” or “work at home” to find potential opportunities. Their offerings are constantly changing so check frequently. Salaries offered range based on experience and the type of position. Farmers offers an excellent benefits package, including assistance with earning and savings, time off, and health insurance. GEICO (home of the famous talking gecko) is primarily an auto insurance company but does offer additional types of insurance protection also. GEICO lists work-at-home positions using keywords like “telecommute” and “remote.” Many of the work-at-home opportunities are in information technology, but GEICO offers other positions as well. GEICO offers employees a Total Benefits Package covering the following areas: health and well-being, education and training, finance and retirement, and family and life. The Hartford offers auto, home, and business insurance, as well as employee benefit products. They’re one of the oldest insurance companies, founded in 1810. The Hartford offers an easily searchable remote worker option in their job listings. Many of these remote options have a base region or state, and positions are limited by proximity. The Hartford offers a wide range of positions including Customer Claims Specialist, National Account Underwriter, and positions in Sales. Claims Specialist salaries with this company range from $32,000 to $54,000. Underwriter salaries range from $43,000 to $75,000. The Hartford’s employee benefits include comprehensive health benefits, award-winning wellness programs and wealth-building plans, and support. Liberty Mutual is an international insurance company offering products for business and personal protection. With offices around the world, Liberty Mutual offers bilingual opportunities in a variety of languages. To view a list of work-from-home opportunities, select your location option, then filter by “remote.” Their remote opportunities are limited, but they occasionally offer them. Liberty Mutual offers a wide range of healthcare plan options to fit their employee’s needs. They also offer options for disability insurance, 401(k) plans, tuition reimbursement, and many other benefits. Progressive Insurance is a well-known auto insurer, but they also offer home, life, and rental product lines. Use the search term “work from home” on their job listing page to access opportunities. Progressive has work from home Customer Service Representative options that require candidates to live within a certain region. These positions pay $16-$19/hour. Along with a standard benefits package, Progressive offers employee training and career development support. SafeAuto is a growing auto insurance company with offices in cities around the country, including Chicago, Columbus, Pueblo, and El Paso. SafeAuto is looking for bilingual employees with a specific emphasis on Spanish-speaking opportunities. Their careers page classifies opportunities as remote/work-from-home. Their results for telecommuting are limited but include positions such as Auto Physical Damage Appraiser which requires some travel. Salary ranges between $49,000 and $65,000 depending on the position. SafeAuto offers employee’s comprehensive health benefits, a wellness package, a 401(k), and more. State Farm is a well-known insurance company that offers automobile, rental, auto, and life insurance. They also offer checking accounts, savings accounts, and auto loans. The State Farm careers page clearly lays out their virtual work opportunities. State Farm requires candidates to be based near a central home office. Some positions are not remote but travel-based, with some work to be done from home or on the road. Work-at-home opportunities are limited. State Farm offers their Total Rewards Benefits Package that provides benefits options for both full-time and part-time employees. USAA employs more than 30,000 people all over the United States. They’re the primary insurance provider for military members and their families. USAA offers opportunities for remote work from home. These positions vary by market but include Digital Optimization Advisors and Actuaries. The USAA positions typically require some specific skill sets, such as experience with digital optimization or prior insurance industry experience. USAA offers employees both benefits and learning. Aside from comprehensive health coverage, they offer both balance and wellness and education as part of their benefits package. Zurich International has offices around the globe, but their central office is located on an island in the Irish Sea called the Isle of Mann. To narrow search opportunities, filter by country and use the keyword “remote.” Many work-at-home positions are in the area of information technology, but there are occasionally other opportunities. Zurich International offers comprehensive benefits and other opportunities. Another great area of opportunity in the insurance industry is in the area of life insurance. Many companies offer life insurance investment products in both whole and term. Life insurance is often a great way to get started building experience in the insurance industry. Many positions don’t require extensive experience or specific training. Again, as with other insurance areas, opportunities are often for employment rather than contracting and benefits are available. Like many insurance companies, AIG offers options for professionals to work within the life insurance industry. They have many positions open for working at home. If you’re seeking work in the insurance industry, AIG might be a good one for you to check out. Enter “remote” into the keyword field for your search. The remote jobs are marked as such. Most AIG positions require a Bachelor’s Degree or comparable experience. Positions include Director and Associate Director Underwriting opportunities. Underwriting salaries often range between $40,000 and $80,000 per year depending on experience and seniority level. Depending on the position, AIG offers excellent benefits and opportunities to their employees. Colonial Penn Life Insurance is based in Philadelphia and has opportunities in their home state as well as Indiana and Illinois. Positions can be found on their website and filtered by “work at home.” They have openings for Telesales Representatives open to candidates with prior sales experience. These positions are headquartered in the above locations but have work-at-home options for the right candidates. The listed base wage is $15.10/hour. Colonial Penn offers vision and dental plans, life insurance, paid time off, a company-matched 401(k), and more. MetLife serves customers all over the world – not just in the Americas but Asia, Europe, the Middle East, and Africa. 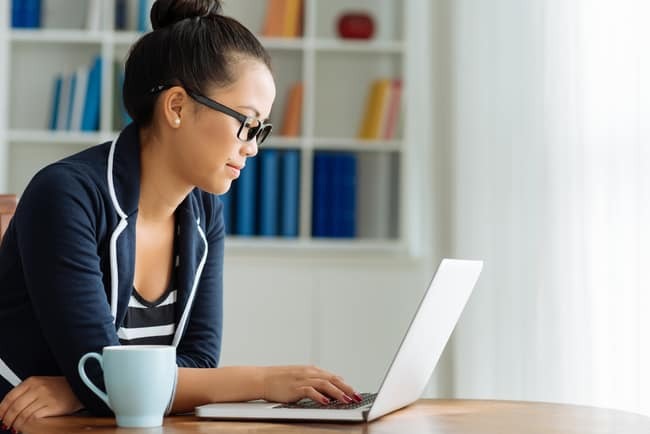 While MetLife doesn’t filter job opportunities by telecommuting options, there are work-at-home opportunities available. MetLife prides themselves on not just offering excellent employee benefits, but career solutions, professional growth opportunities, and community involvement. Mutual of Omaha offers a wide range of investment and life insurance products, and the company prides itself on how much they care about the customers they serve. Mutual of Omaha has an easy to navigate search page. Just use the “remote,” “telecommute” and “work from home” terms to find their available opportunities. The offerings range from entry-level to more experienced positions. In addition to comprehensive health and wellness benefits, Mutual of Omaha offers tuition reimbursement to their employees. New York Life offers an array of products for life and asset protection. It is a mutual insurance company, meaning it’s publicly traded. New York Life is another company offering both corporate roles and the opportunity to become an agent. Their listings are available on their website, including remote opportunities. New York Life provides insurance and wealth building products for their employees, as well as an array of other wellness and career development benefits. Prudential focuses on retirement planning. Prudential offers life insurance, annuity, and investment planning as platforms for customers to draw on in their later years. Prudential offers customer service positions with work from home options after training has been completed. Positions include Financial Services Associate, Customer Solutions Representative, and Customer Relationship Specialist. The average salary for these positions is between $33,000 and $37,000 annually. Prudential also offers a comprehensive benefits package which goes beyond health insurance and includes education and training and advancement potential. Transamerica offers an array of insurance and financial services products. Job opportunities to work at home are available. Some jobs are state or region-specific, while others are open to candidates all over the USA or Canada. Transamerica offers many benefits from a comprehensive health package to income protection to work-life management and retirement savings. Voya Life Insurance was named one of the World’s Most Ethical Companies in 2017. Voya has a very distributed workforce with several work-at-home opportunities. There are many positions available by region and state. These positions range from Retirement Plan Consultant to VP of Client Relations and the salaries will also vary widely. Voya specifies that their benefits package goes above and beyond to include not just health benefits but parental leave, financial planning, and career development. There are additional opportunities for those looking for home-based jobs and work in the insurance industry. Areas such as Customer Service and Sales offer a chance to work from home with flexibility. For those ready to become their own boss, LiveOps offers a way to work from home and have control over scheduling and flexibility. With LiveOps, you become your own virtual call center, fielding calls for customer service from the comfort of your own home. You maintain your own schedule and have the opportunity to earn more based on productivity. FlexJobs also offers many listings for listings for the insurance industry including customer service, actuarial, audit representatives and more. They offer the ability to sign up for alerts to receive postings in specific industries and opportunities. FlexJobs offers many other positions, not limited to the insurance industry. Pay and benefits vary based on the position and scope of the job. The insurance industry offers many great telecommuting opportunities. While some roles require a fair amount of travel, many others within the industry can be done 100 percent from home. If you’ve had prior experience within the insurance industry or it’s simply an area that interests you, check out the companies and opportunities to get started.